Just so that you know, I am working on the problem on why so many of you are not getting my updates even though you did subscribe to them at my site. I just wrote Type pad for help. my own son has told me he is not getting my updates any longer. Why is this happening and what can we do to correct this problem? As soon as they get back with me I will fill you in as to what is being done to correct this problem. However, until then place check my site daily to see if I posted a new update. Thanks so much. To Join my prayer team or ask for prayer click to the following link below. Once at the site look for (email me) just under the subscribe box at the top left hand corner. 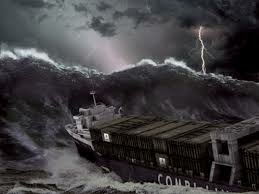 Prophecy Sign: Luke 21:25 is the sign of roaring seas and waves. If you haven’t watched the news you may want to read this report entitled, “Northeast States Declare Emergency on Record Rainfall (Correct)”. This report gives you information as to how bad the storms have become in the Northeast. Flooding on a scale rarely seen in New England forced hundreds of residents from their homes Wednesday, overwhelmed sewage systems and snarled traffic as major East Coast routes washed out or transformed into a soaked labyrinth of detours and closures. As three days of record-breaking rains tapered to a drizzle, forecasters warned the worst of widespread flooding from Maine to Connecticut was still ahead as rivers and streams had yet to crest — for the second time in a month. In Rhode Island, which bore the brunt of the storm, residents were experiencing the worst flooding in more than 100 years. Stretches of Interstate 95, the main route linking Boston to New York, were closed and could remain so for days. Every resident of Rhode Island, a state of about 1 million, was asked to conserve water and electricity because of flooded sewage systems and electrical substations. Rising waters either stranded hundreds of people or sent them to shelters. Many of those who stayed behind appeared shell-shocked, still recovering from floods two weeks ago caused by as much as 10 inches of rain.” Watch the video at the link below. Prophecy Sign: One of the signs of the last days is that there is going to be droughts. We know this because Jesus told us to watch the signs from the sun. Here are some prophecies that show us people will thirst and the heat will takes its toll in the last days. "And there shall be signs in the sun" (Luke 21:25a). “The fourth angel poured out his bowl on the sun, and the sun was given power to scorch people with fire. They were seared by the intense heat and they cursed the name of God, who had control over these plagues, but they refused to repent and glorify him…Men gnawed their tongues in agony and cursed the God of heaven because of their pains and their sores, but they refused to repent of what they had done” (Revelation 16:8-11). “Therefore are they before the throne of God; and serve him day and night in his temple: and he that sitteth on the throne shall dwell among them. They shall hunger no more, neither thirst any more; neither shall the sun light on them, nor any heat” (Revelation 7:15-16). Since we know China will play a major role in the last days we need to watch what is happening with this nation. At the present time China is in a record-breaking drought. “BEIJING - A senior drought relief official has warned of mounting challenges in providing drinking water for millions of people if the worst drought to hit the southwest in nearly a century persists” I have been tracking these types of events since 1977 and things are getting worse each year. I revert to what Jesus said about this generation when He told us all these signs would take place as a woman with birth pains. This is exactly what we are seeing take place. All you have to do is anyone in the Northeast of America or China if these signs are real? They may not believe in Christ but they will confirm the massive floods and the record breaking drought. When speaking about the last days birth pains all you have to do is take a look at the following U.S. site http://www.fema.gov/news/disaster_totals_annual.fema. Start at the bottom where it gives the year 1953 and make your way up the chart to 2010. You will notice that the number of disasters keep creeping up. 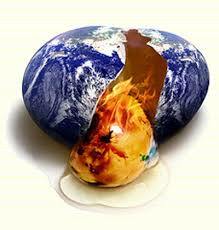 One should expect an earthquake will result from the exploding volcano, and if what the experts are saying coming to pass it would create another huge tsunami. If this is the case you would have an fearful event with earthquakes and roaring waves all of which are warnings. Prophecy Sign: In this first report today you will see signs of 1 Thessalonians 5:3 the Psalm 83 war, and Zechariah 12:3. 1 Thessalonians. informs us when we hear the call for Peace and safety that is the time that sudden destruction will come. The war spoken about in Psalm 83 is a war between Israel’s neighboring nations and Israel, and Zechariah 12:3 is a prophecy that tells us Jerusalem will be the main problem that all the nations will be dealing with, and nation that comes against Jerusalem will be cut in pieces. In my post yesterday I gave you news showing you that the Arabs were meeting in Libya. I warned you what may happen that would bring about the Psalm 83 war. News today shows you the Psalm 83 war is just around the bend. The headline to this report is entitled, “Syria and Libya Urge End to Talks with Israel; Return to Armed Struggle”. “Host Libya and Syria have told fellow participants at the Arab summit to end peace talks with Israel and return to violence. The call to arms comes as the summit prepares to back a conditional return to talks; specifically, indirect negotiations brokered by the United States. The Libyan/Syrian position was reported by the Associated Press, citing two unnamed delegates to the summit. Syrian President Bashar Al-Asad was reportedly the most vociferous voice calling for armed conflict while Libya’s Mu’ammar Al-Qadhafi threatened to withdraw his nation’s support for the so-called Arab Peace Plan, first launched in 2002 as the “Saudi Plan.” Aides to Palestinian Authority head Mahmoud ‘Abbas rejected the violent approach, calling it “unrealistic.” Some observers see the marked increase in U.S. pressure on Israel as boosting Arab confidence in the American administration.” When you read Psalm 83 you will see Syria plays a major role in the that war. We know Syria will turn violent against Israel because we see this in the Psalm. We also know from Ezekiel chapter 38 that the nation Libya will turn violent against Israel in the Ezekiel 38 war. I am not surprised that both these nations are calling for violence against Israel. All they are doing is what God warned us they would do. I know many of you are asking me when will this war take place? All I can tell you is that the signs are everywhere that this war is approaching fast. What I can tell you for sure is this, it is coming! As for Zech. 12:3 where the Lord tells us all the nations will come against Jerusalem, we have been watching news showing us the friendship between the U.S. and Israel is beginning to fall apart. If the Lord warned us (all the nations) would come against Jerusalem than you will even see Israel’s close friends move away from Israel, and we are in this stage right now. Here is some news about this in a report entitled, “Netanyahu, White House Aides, Try to Play Down Tension” . “Israeli Prime Minister Netanyahu told his cabinet on Sunday that the differences at the core of massive media insinuation that the relationship with the United States is rapidly deteriorating “are just differences between friends.” But the undeniable tension that many are calling the worst tiff between the two allies in many years is taking a toll not only on the traditional relationship between the two nations, but on Netanyahu’s domestic standing. His political opponents are finding resonance in their charge that the prime minister is damaging the treasured U.S.-Israel relationship – perhaps the most serious allegation that can be made against an Israeli leader. The explosion of heroin in suburban America isn't by accident. Rather, it is the plan of drug lords from Mexico and Columbia, who strategically market the drug to middle America with new, sophisticated techniques. Packets of heroin are now stamped with popular brand names like Chevrolet or Prada, or marketed using blockbuster movies aimed at young people, like the Twilight series. 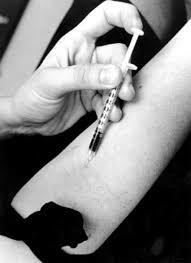 "Those drug traffickers were marketing that Heroin directly towards teenagers," says John Gilbride of the DEA in New York. Prophecy Sign: Luke 21:25 tells us to watch for the roaring seas and waves. In chapter 13 of my book I provide you more than enough proof that shows you each year new records are being broken from storms. Right now America’s East Coast is in the midst of one of those record breaking storms. “BOSTON (AP) - The second major rain storm of the month pounded the Northeast on Tuesday with what meteorologists said could be record-setting rainfall, sending rivers toward flood stage, closing roads, delaying flights and causing a run on basement sump pumps.” “The storm hit as the region continues to recover from a storm two weeks ago that dropped as much as much as 10 inches of rain. The National Weather Service says more than 11 inches of rain had fallen on Boston as of Monday, and the Tuesday's rain could break the monthly rainfall record set in 1953.” There is something else about these types of storms that I have been keeping track of. It appears every time the U.S. is in Israel pushing for Israel to divide up their land America gets hit with some type of disaster. This pattern holds true again as the U.S. is in Israel pushing a peace plan on Israel that Israel does not want. If you are new to prophecy you need to know there is a curse on anyone who comes against Israel. Read Genesis 12:3. Prophecy Sign: Luke 21:11 also asks us to watch for the sign of many earthquakes. We saw another good size quake hit Japan today. This quake measured a 5.8. I have a new radio/video show that will start running today March 19, 2010 at 6PM EST. I will be giving a up-date on many of the events that just happen, which show us prophecy is coming to pass and you had better start preparing to meet Christ Jesus! Here is another report. “ADRIAN, Mich. – The FBI said Sunday that agents conducted weekend raids in Michigan, Indiana and Ohio and arrested at least three people, and a militia leader in Michigan said the target of at least one of the raids was a Christian militia group. Federal warrants were sealed, but a federal law enforcement official speaking on condition of anonymity said some of those arrested face gun charges and officials are pursuing other suspects. The prophet Daniel was told the Antichrist would rise up from a revived Roman Empire. Chapters two and seven of the book of Daniel prevails this information to us. Since the European Union is made up of the nations that used to be in the old Roman Empire it should send up a huge red flag when you hear world leaders urging the EU to create a new global financial system. How can it be that almost 2,000 years before Roman fell, Jesus said it would return again? How can it be that Christ knew when the revived Roman Empire returned at the same time we would fall into a global financial system? The answer to these questions is simple if you are filled with the Holy Spirit. Only a true living God would be able to tell you these things so far in advance. Why tell us about these things if there wasn’t anything we could do about it? Only those people who don’t have Christ’s Holy Spirit living in them think there isn’t anything we can do. Fact is, Jesus asked us to watch for all these signs to make sure we would be ready for His return. If you have Christ as your savior and you are abiding in His Word you will know that Christ is going to take you away from all the things that are coming to pass. What can we do? Be ready to leave with Him when He returns for His Church. The news you just read about today informs the wise that Christ is coming soon, and if I were you I would get right with Christ before He comes for the Church. If you noticed I place a number of the nations in this report in red. Why did I do this? The nations listed above are the exact same nations listed in Psalm 83. 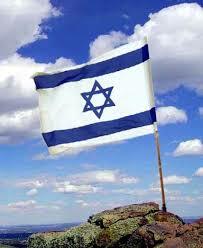 Psalm 83 is a prophecy telling us these nations will attack Israel in the last days. We see from the report that Damascus will be the headquarters for this new Arab Union. According to Isaiah 17:1 Damascus will be wiped out and left in a ruinous heap. We know at the present time Syria and Israel have been exchanging war threats against each other over the fail peace talks and the disputed 1967 borders. Let’s say that this Arab Union comes together and Syria and Israel engage in a conflict. Israel wipes out Syria and the city of Damascus as we read about in Isaiah 17:1. When the other Arab Union members see what happen to their allies they would attack Israel and in doing so fulfill the Psalm 83 war. I am not saying this is exactly how things will be played out, but it is possible. Prophecy Sign: In Matthew 24:7Jesus also warns us about famines in the last days. We are beginning to see a lot of weird things take place with the weather that is causing famines to spread. There is another way famines can spread and it has to do with the decline bee population. “The decline in the US bee population, first observed in 2006, is continuing, a phenomenon that still baffles researchers and beekeepers. Data from the US Department of Agriculture show a 29 percent drop in beehives in 2009, following a 36 percent decline in 2008 and a 32 percent fall in 2007. This affects not only honey production but around 15 billion dollars worth of crops that depend on bees for pollination.” If this declines continues and crops fail because they are not pollinated the food supply will begin to drop even further. In the past year we have seen millions of crops wiped out from droughts, floods, diseases, war, and yes even a decrease in bees. Christ told us these signs would come upon us as a woman with birth pains, so expect more crops to be affected and the food supply to drop in the coming years. All these signs will reach their max during the seven year tribulation. By the way, this bee problem is not just a U.S. problem. When you read the entire report you will learn it is making its way around the world. Here is another section of the report. "Under normal condition you have 10 percent winter losses.. this year there are 30, 40 to 50 percent losses." 1 Thessalonians 5:17 tells us the following: “pray without ceasing;”. I heard some distrurbing news today that I want to address. “SCOTTSDALE, AZ - A national ministry that organizes prayer for the president says it's hearing from members who have quit praying for President Barack Obama. The chairman of the Presidential Prayer Team, Dave Otto, has issued an urgent appeal for funds. His letter says the ministry has been "hit hard because some of our members are deeply distraught with our country's leaders." Otto writes that members "tell us that they are discouraged, disappointed, and some have admitted they have stopped praying for the president and our nation." If any one can show me any scripture where we are to quit praying for the lost I want to see it! Our walk should be one like Jesus and Jesus never quit on anyone. We need to be praying more than ever for Barack Obama and the United States. The only one who wants you to give up and quit praying is Satan, and many Christians are now playing right into his hand. I may not like what Obama or the leaders of the U.S. are doing but it is no reason to stop praying for the leaders. I have a prayer ministry at my site and I encourage all Christians to join with me in praying for Obama and all the U.S. leaders. If we really love Christ our love must be more than words but put into practice. Jesus didn’t like what the religious men in His day did to Him but that did not stop going to the cross from them! Prophecy Sign: 1 Thessalonians 5:3. I quote, “For when they shall say, Peace and safety; then sudden destruction cometh upon them, as travail upon a woman with child; and they shall not escape.” Zech. 12:3 is the prophecy where God tells us all the nations will come against Israel in the last days. By now you should now what the Arab alternative is they are speaking about? It is exactly what was warned in prophecy and it is a war against Israel to reclaim Jerusalem. Once again I have to ask you to focus on the Middle East and the failed peace talks. War is comingj, there is no doubt in my mind that this is what was discussed at the Arab meeting. 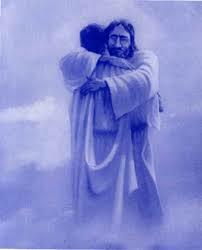 I am sad today because I know how close we are to the beginning of the seven year tribulation, and there are to many people who are not yet saved, this is what breaks my heart. The signs of the next war are everywhere. “Israel will retaliate against any attack on its citizens or soldiers, Prime Minister Benjamin Netanyahu said on Sunday, adding that Hamas would be made to be held accountable for actions. The prime minister's comments come following the death of two soldiers in Gaza clashes on Friday, which increased concern in the Israel Defense Forces that Hamas is trying to alter the situation along the Gaza Strip border fence, which will result in their targeting of Israeli patrols. "Israel's policy of retaliation is forceful and decisive," the PM said during the weekly government meeting in Jerusalem, asserting that Israel would "retaliate decisively against any attack on our citizens and soldiers." Residents of Israel's southern region view the incident in which two soldiers were killed in Gaza Friday, along with the continuous rocket and mortar fire emanating from the Hamas-ruled territory, as a possible prelude to a full-blown war. "There is a sense that we are on the brink of another war," a member of Kibbutz Kfar Aza told Ynet on Saturday. "Mortars have been falling here for a week now, just like in Operation Cast Lead," said Orit Arjento, "I am in constant stress; running to the Internet to see if there is any news and debating whether I should close the window or leave it open, because of the mortars. I am giving you news that is connected to last day’s prophecy. Sorry I cannot give a detailed explanation but I am resting my wrists. Prophecy Sign: Jesus in Revelation 13:16-17 warns us of the mark of the beast. At the present time we are witnessing steps taking us to this mark. If you go read the information listed on the site below you will see one of these steps. 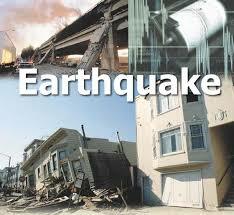 Prophecy Sign: Jesus told us to look for the many earthquakes in Matthew 24:7. This weeks quakes. Prophecy Sign: In Ezekiel chapter 38 we see Russia leading an attack against Israel. One thing is very clear in that chapter and that is Israel is left alone to fight against the massive assault. For the past few days I have shown you how Zechariah 12:3 is beginning to come to pass. Zech. 12:3 is the prophecy where God tells us all the nations will come against Israel in the last days. Years ago I warned those who would listen that the United States of America would begin to show signs of turning away from Israel. When I opened up my prophecy site two years ago I began to warn people at this site that the U.S. would also turn against their friend Israel. As you can see from the news these past few weeks the U.S. Israeli friendship is slipping away. Here is a good example of how the Obama is stiffing what was once our closest ally. “For a head of government to visit the White House and not pose for photographers is rare. For a key ally to be left to his own devices while the President withdraws to have dinner in private was, until this week, unheard of. Yet that is how Binyamin Netanyahu was treated by President Obama on Tuesday night, according to Israeli reports on a trip viewed in Jerusalem as a humiliation. After failing to extract a written promise of concessions on settlements, Mr Obama walked out of his meeting with Mr Netanyahu but invited him to stay at the White House, consult with advisers and “let me know if there is anything new”, a US congressman, who spoke to the Prime Minister, said. “It was awful,” the congressman said. One Israeli newspaper called the meeting “a hazing in stages”, poisoned by such mistrust that the Israeli delegation eventually left rather than risk being eavesdropped on a White House telephone line. Another said that the Prime Minister had received “the treatment reserved for the President of Equatorial Guinea”. Prophecy Sign: In Genesis 12:3 God promised He would curse anyone who curses Israel. 1 Thessalonians 5:3 tells us sudden destruction will come at a time when they are calling for Peace and safety. Since Zechariah shows us all the nations will come against Israel in the end times we can assume all the nations will fall under this curse! America says Israel is her friend but her actions show us a different story, and people want to know why America is falling apart and becoming a socialist State? For one thing, the U.S. has taken sides with the PLO in their plans to divide up the State of Israel and to give over East Jerusalem to the PLO. This alone has caused God’s curse to be poured over the United States. Let me tie all these things together. Pay attention to the Ezekiel prophecy because I can see the signs on the wall that this war is being set up. I quote, “Announcements by Israel's right-wing government of new building projects in East Jerusalem -- which the Jewish state seized in a 1967 war -- have spoiled U.S. plans to get Palestinians and Israelis back into peace negotiations. "Expansion of Israeli settlements, destruction of Islamic and Christian sites and wide-scale construction of new synagogues ... show the Zionist plans to accelerate Judaisation of East Jerusalem and unfortunately it is approved by American officials," Iran's Foreign Minister Manouchehr Mottaki said in comments reported on Iranian state radio. "This has raised the alarm for all people around the world and doubled the need for Muslim and other countries to act seriously," he said, adding that the 22-nation Arab League should take a strong stance at its meeting in Libya this weekend.” First off all look where the meeting is being held? Libya is one of the nations listed in Ezekiel 38 that will be attacking Israel with the Russians. Iran is also one of the main players and allies with Russia during the Ezekiel war. In another section of this same report we read the “U.S. officials have sought to coax Israel into suspending further East Jerusalem projects and discussing core issues such as borders and the status of Jerusalem as part of indirect talks with the Palestinians that have been blessed by the Arab League.” Put two and two together. 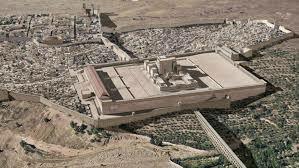 If Zechariah warns us anyone who comes against Jerusalem will be cut into pieces, and we know many of the Islamic nations want to wipe out Israel over the Jerusalem, what in the world is America doing taking sides that has the blessing of the same people that are looking to wipe out Israel? You had better believe Paul’s warnings about the sudden destruction coming at a time when they are calling for peace and safety, because we are on the verge of seeing this prophecy coming to pass. Recent news tells us, “We think we have found a golden way that would allow the Americans to move the peace process forward while preserving our national interests," Netanyahu said en route from Washington, where a two-week-old spat over settlements clouded talks. Despite his hints at compromise, the Palestinians said they had no indication from U.S. President Barack Obama there had been agreement on how to revive negotiations while Israel continues building on occupied land they want for state. Netanyahu's cabinet secretary Zvi Hauser said he would assemble top ministers -- most of them right-wingers, like the premier -- to consider a package of goodwill gestures drawn up by his and Obama's advisers in a flurry of White House meetings” . I can assure you that whatever Obama has come up with for this peace plan for Israel is going to be against anything that God wants. 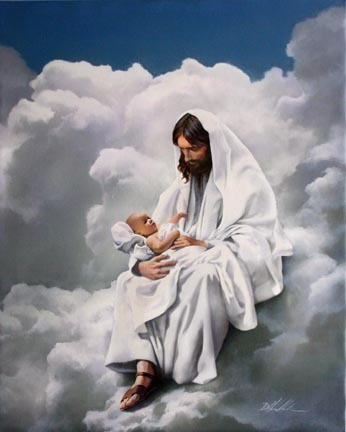 As a matter of fact, the Obama plan what ever it may be will oppose God’s Word and soon you will see this for yourself. I am warning you all now, the only people who will see the truth about these events will be the people who are filled with the Holy Spirit. Satan is doing a great job in blinding the world to the God’s Word and what He desires for Israel. PHOENIX -- When it comes to foreclosures in America, the worst apparently is yet to come. The number of foreclosures is projected to more than triple this year over last year, according to RealtyTrac. Valley mortgage specialist Dean Wegner said a lot of homeowners are still on the edge of foreclosure. "Last year's fourth quarter was a record high for mortgage delinquencies, 15 percent," Wegner said. "What is interesting to note is that does not include people who are 30 days behind or currently in a loan forebearance or in a loan modification, so it's safe to say possibly 25 percent of all people are behind on their mortgages, which is one in four financed homes in America." Wegner said there were 900,000 foreclosure repossessions last year and, "According to RealtyTrac, we're looking at about 3 million homes that could experience foreclosure this year, which would be the largest on record for America." Wegner would like the federal government to take more aggressive steps to stem the tide of foreclosures. You want signs America is falling apart? Read what she is going to be facing shortly. “The bursting of the real estate bubble and the ensuing recession have hurt jobs, home prices and now Social Security. This year, the system will pay out more in benefits than it receives in payroll taxes, an important threshold it was not expected to cross until at least 2016, according to the Congressional Budget Office. While I am no the subject of God’s curse let’s not forget the European Union has also fallen under God’s curse for trying to divide up Israel just like the U.S.. The EU has also fallen into a economic crisis and they are still trying to figure out how to stop the economic bleed that has sprung out over Greece’s debt. I quote, “EUOBSERVER / BRUSSELS - All eurozone states have signalled their willingness to contribute to a potential Greek bail-out, with the region's leaders hammering out an agreement late on Thursday night (25 March). The exact details of how Athens would successfully trigger the new mechanism remain to be ironed out however, with any application for funds from the joint eurozone-IMF pot requiring unanimous euro member approval "based on an assessment by the European Commission and the European Central Bank." Your books are on the way. I am giving you news that is connected to last days prophecy. Sorry I can not give a detailed explanation but I am resting my wrists. Prophecy Sign: Matthew 24:7 Man earthquakes: “ A powerful earthquake was felt in the Philippine capital Manila on Thursday, causing office workers to rush out of buildings, but authorities said there were no immediate reports of damage. The Philippine Institute of Volcanology and Seismology said the quake struck in the ocean at 1:29 pm (0529 GMT) with a magnitude of 6.2. The US Geological Survey said the quake had a magnitude of 6.1, with its epicentre located 137 kilometres (85 miles) southwest of Manila and at a depth of 72 kilometres. Prophecy Sign: Signs of Psalms 83 war and Ezekiel 38 war coming. “Iran on Thursday urged the West to take action against Israel over the Jewish state's decision to build more houses in east Jerusalem. "The action taken by Western countries should no longer be theatrical but should be practical (and) put a stop to the Zionist regime's state terrorism," ISNA news agency quoted foreign ministry spokesman Ramin Mehmanparast as saying. Mehmanparast also slammed Israeli Prime Minister Benjamin Netanyahu for saying that demands for a settlement freeze were "unreasonable," and that "Jerusalem is not a settlement. It is our capital." Prophecy Sign: Revelation 9:21 the drug generation: “SACRAMENTO, Calif. (AP) - When California voters head to the polls in November, they will decide whether the state will make history again - this time by legalizing the recreational use of marijuana for adults. The state was the first to legalize medicinal marijuana use, with voters passing it in 1996. Since then, 14 states have followed California's lead, even though marijuana remains illegal under federal law. "This is a watershed moment in the decades-long struggle to end failed marijuana prohibition in this country," said Stephen Gutwillig, California director for the Drug Policy Alliance. "We really can't overstate the significance of Californians being the first to have the opportunity to end this public policy disaster." Prophecy Sign: 1 Thessalonians 5:3 and Zechariah 12:3. WASHINGTON (AP) - A last-ditch effort to heal the deep dispute between two longtime allies failed when Israeli Prime Minister Benjamin Netanyahu and the United States' main Mideast envoy were unable to resolve a rift over new Israeli housing in east Jerusalem. Prophecy Sign: 1 Thessalonians 5:3 and Zechariah 12:3. Headline: “Silence that speaks volumes: blackout as Israel’s leader leaves White House”, Story: Two separate meetings between President Obama and Binyamin Netanyahu, the Israeli Prime Minister, failed to produce so much as an official photograph as a chill settled over US-Israeli relations and secrecy shrouded any efforts to repair them. The Israeli Prime Minister was due to fly home from Washington after three days marked by Israeli defiance on the issue of settlements and an extraordinary silence maintained by both sides after his three-and-a-half-hour visit to the White House. The meeting was overshadowed by Israeli approval for 20 homes built for Jews in Arab east Jerusalem — a move denounced by one senior US official as “exactly what we expect Prime Minister Netanyahu to get control of”. 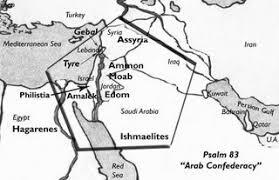 Prophecy Sign: “ When peace talks finally end because Arabs know they will not get their way then the Psalms war will break out and you will see the destruction Paul warned us about in these last days. Syria is committed to seeking peace with Israel but has no faith in the present Israeli government, President Bashar al-Assad said on Wednesday, after a war of words between the two sides. "War is the worst solution. We must continue to seek peace. Does this mean that we have hope in the current Israeli government? No," Assad told the Lebanese television station al-Manar, which is owned by the Shi'ite movement Hezbollah. Starting Monday 22 of March I will be taking seven days off from writing any posts. I have Carpal tunnel syndrome and I need to rest my wrists. The wrist is surrounded by a band of fibrous tissue that normally functions as a support for the joint. The tight space between this fibrous band and the wrist bone is called the carpal tunnel. 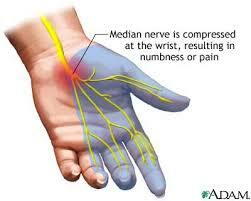 The median nerve passes through the carpal tunnel to receive sensations from the thumb, index, and middle fingers of the hand. Any condition that causes swelling or a change in position of the tissue within the carpal tunnel can squeeze and irritate the median nerve. Irritation of the median nerve in this manner causes tingling and numbness of the thumb, index, and the middle fingers, a condition known as "carpal tunnel syndrome." I could use your prayers for a healing. The is a problem with people getting my updates when you subscribe so you will have to check my posts daily at my site when I begin posting again. You can just add me to your favorites to remain you. Sorry but I am engaged with the enemy. Algeria’s neighbour Libya is close to signing a contract with Russia to buy Pantsir-S1s as well, and Saudi Arabia has expressed interest in them too, the source said. Russia and China have quietly made clear to the Iranian government they want Tehran to change its approach to the nuclear issue and accept a U.N. atomic fuel offer, Western diplomats said on Tuesday. Undeterred by turbulence in its ties with the United States and Britain, Israel on Wednesday confirmed further plans to expand the Jewish presence in occupied East Jerusalem, with more building freshly approved. At least a dozen states are prepared to sue over the individual mandate in the health care overhaul package passed by the House on Sunday. ...The Obama administration is not concerned about the pending cases, said White House Press Secretary Robert Gibbs. He said the administration’s defense will be based on the regulation of interstate commerce. Since the furor when plans to build 1,600 new housing units in east Jerusalem's Ramat Shlomo were announced during Vice President Joe Biden's visit to Israel, all discussions by the Jerusalem Regional Planning and Building Committee over new construction in the capital have been frozen, it was announced Wednesday. Jerusalem Municipality official Yair Gabai made the statement in an interview with Army Radio, and it was later confirmed by the Interior Ministry. The Palestinian Authority appears to have backtracked on its decision to close down 10 TV stations, including a private Christian channel. The PA had taken the stations off the air, claiming they did not have proper licenses, but announced Wednesday that the networks would be given one month to sort out the issue. Nevertheless, the owner of the Christian station said he would not reopen the channel until the PA apologizes. Federal health authorities recommended Monday that doctors suspend using Rotarix, one of two vaccines licensed in the United States against rotavirus, saying the vaccine is contaminated with material from a pig virus. "There is no evidence at this time that this material poses a safety risk," Food and Drug Administration Commissioner Dr. Margaret Hamburg told reporters in a conference call. US Secretary of State Hillary Clinton has pledged increased support for Mexico in the fight against drug gangs. In Mexico as part of a high-level US delegation, she said more would be done to cut US demand for drugs and the flow of profits and guns into Mexico. The gangs "are fighting against both of our governments", she said, adding that a broader effort would aim to tackle social problems fuelling the trade. An Islamic court in Nigeria has banned a rights group from hosting debates on the Twitter and Facebook websites on the use of amputations as a punishment. The court, in the northern city of Kaduna, backed a case brought by a pro-Sharia group arguing that the forums would mock the Sharia system. The rights group, the Civil Rights Congress of Nigeria, said it would appeal against the ruling. China's chief diplomat on climate action, Su Wei, has said that the European Union must "seize the time" and increase its climate ambition to a 30 percent cut in greenhouse gas emissions. ..."The EU can play an important role in pushing the US in the right direction. The EU should not decide to backtrack simply because the US is trying to. The EU must insist on on the US sticking to its obligations and then the US will be under pressure to step up its commitments." Britain’s expulsion of an Israeli diplomat over the alleged Mossad assassination of Hamas arch-terrorist Mahmoud al-Mabhouh is being seen by security experts in Israel as a politically-motivated overreaction that seems certain to damage counterterrorism intelligence-sharing between London and Jerusalem. UK media outlets reported on Monday that the diplomat who will likely be asked to leave is the head of the Mossad station in London. An Australian investigation into fake passports used by a suspected hit squad that assassinated a Hamas operative Mahmoud al-Mabhouh in Dubai will examine a British report that found evidence that Israel was responsible for forging the documents. Australian Foreign Minister Stephen Smith said Wednesday that British Foreign Secretary David Miliband offered him the report by the Serious and Organized Crime Agency for use by Australian police in their investigation into four forged Australian passports allegedly used by the suspects. US President Barack Obama and Prime Minister Binyamin Netanyahu met Tuesday in an unusual pair of low-profile meetings at the White House, which, according to the Prime Minister's Office, were "conducted in a good atmosphere." In a break with custom that seemed linked to the crisis complicating US-Israeli relations, reporters were not invited to see them shake hands and begin their talks. It is highly unusual for a visiting ally not to be seen with the president, either for photographs or statements. Iran is helping train Taliban fighters within its borders, according to U.S. military and intelligence officials. The United States has already said that the Taliban may be receiving limited training from the Iranians in Afghanistan, but the officials told CNN that training in the use of small arms was occurring within Iran. "We've known for some time that Iran has been a source for both materiel and trained fighters for Taliban elements in Afghanistan," Army Lt. Col. Edward Sholtis said Monday. But, he said, it is unknown whether that training is occurring with the support of Tehran, or it is "simply something that is happening beyond the government's control." Britain faces an increased threat of a nuclear attack by al-Qaeda terrorists following a rise in the trafficking of radiological material, a government report has warned.It is feared that terrorists could transport an improvised nuclear device up the Thames and detonate it in the heart of London. Bristol, Liverpool Newcastle, Glasgow and Belfast are also thought to be vulnerable.-Downing Street released an update to the National Security Strategy in which it stated that "the UK does face nuclear threats now"
A beaming President Barack Obama on Tuesday signed a historic $938 billion health care overhaul that guarantees coverage for 32 million uninsured Americans and will touch nearly every citizen's life, presiding over the biggest shift in U.S. domestic policy since the 1960s and capping a divisive, yearlong debate that could define the November elections. Most American voters believe it’s possible the nation’s economy could collapse, and majorities don’t think elected officials in Washington have ideas for fixing it. The latest Fox News poll finds that 79 percent of voters think it’s possible the economy could collapse, including large majorities of Democrats (72 percent), Republicans (84 percent) and independents (80 percent). Just 18 percent think the economy is "so big and strong it could never collapse." Israeli sources described Prime Minister Benjamin Netanyahu and US Secretary of State Hillary Clinton's meeting on Monday as "friendly and concise." The two met privately for an hour and a half and were later joined by officials from both sides, including Defense Minister Ehud Barak. Netanyahu presented Clinton with a sketch illustrating the long bureaucratic process entailed in securing building permits for houses in Israel, including in Jerusalem. He described a process consisting of dozens of stages, including ones that many Israeli government ministers are not adept at. Netanyahu told Clinton that he cannot guarantee that similar crises won't happen in the future, regardless of the prime minister's political stance on Jerusalem. There would be no housing market today without the government. Over the past 18 months, Washington has taken extraordinary steps to keep home loans available and affordable. That caused a tentative housing recovery last year. Home sales reversed their four-year descent, while prices stabilized. One big reason: The government seized control of Fannie Mae and Freddie Mac, massive companies that purchase home loans, package them into investments and guarantee them against default. The price tag has been huge -- $126 billion and growing. The pre-dawn discovery of two bodies cut into pieces and shoved into two black bags brought a tragic end Monday to a search for two missing police officers in the southern state of Guerrero.